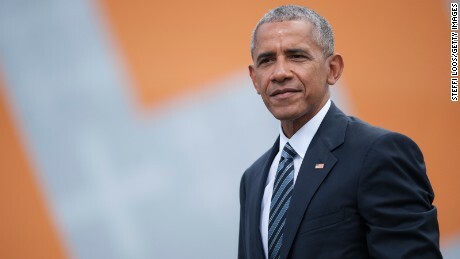 Former US president Barack Obama will deliver a speech to a crowd of 15,000 people in Johannesburg on Tuesday as the centrepiece of celebrations marking 100 years since Nelson Mandela’s birth. Obama has made relatively few public appearances since leaving the White House in 2017, but he has often credited Mandela for being one of the great inspirations in his life. He will deliver the Nelson Mandela Annual Lecture at a cricket stadium in Johannesburg in an address which will urge young people to fight to defend democracy, human rights and peace. Obama met Mandela only briefly in 2005 but gave a eulogy at his funeral saying Mandela “makes me want to be a better man” and hailing him as “the last great liberator of the 20th century”. Tuesday’s speech comes on the eve of “Mandela Day” — his birthday, which is marked around the world every year on July 18. The “Mandela 100” anniversary has triggered a bout of memories and tributes to the late anti-apartheid leader, as well as a debate over his legacy. Before arriving in South Africa, Obama paid a brief visit to Kenya, his father’s home country. While in Kenya, he opened a youth centre run by his half-sister and visited the home of his step-grandmother in the village of Kogelo, where his father was born and was buried.